How Did You Celebrate the Holiday? 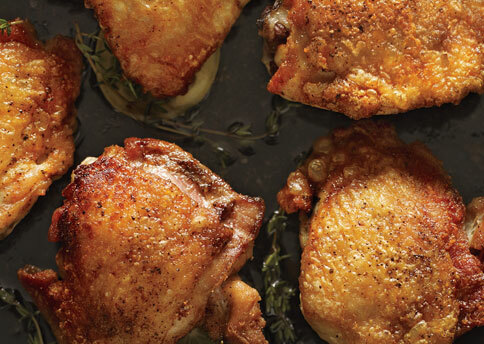 No, not the 4th of July – friday was National Fried Chicken Day! There was a segment about it on the Today show therefore it’s a totally legit holiday! 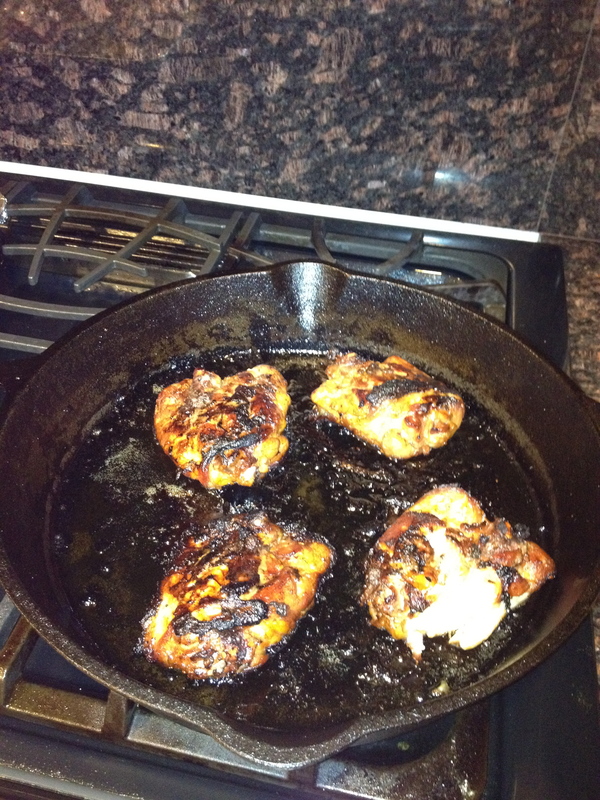 It was the perfect excuse to defrost the loads of chicken in the freezer and fry it up. 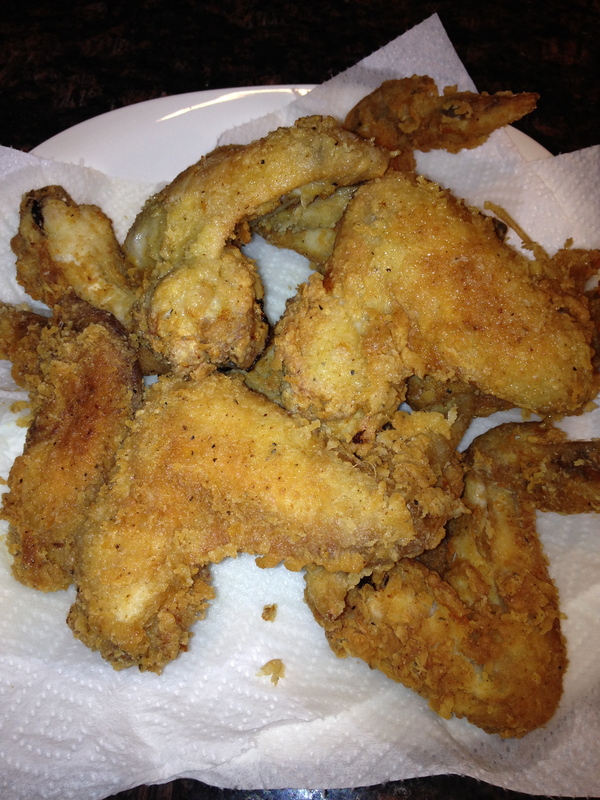 In my opinion, everyone should know how to fry chicken. 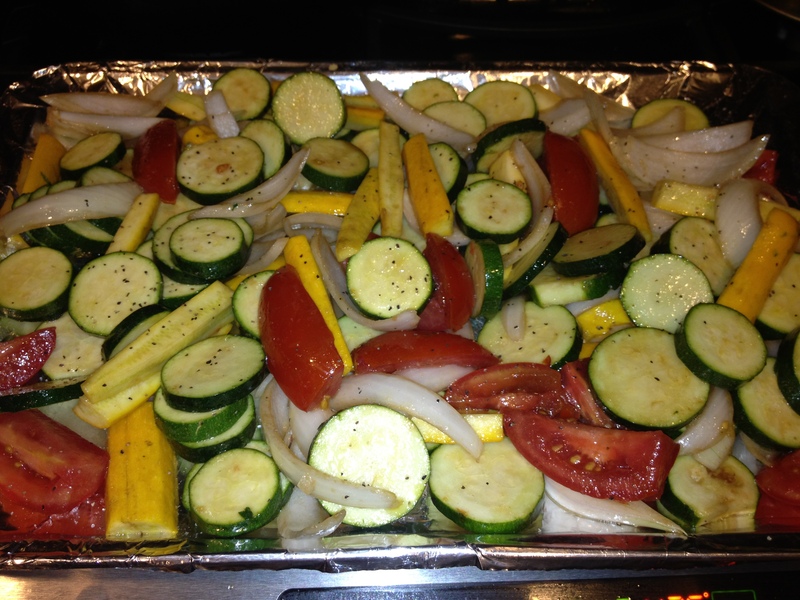 It’s a classic dish that even the healthiest of people will indulge in every once in a while. I have several family recipes that I’ve tweaked over the years and I’ve come up with a few “secrets” of my own. 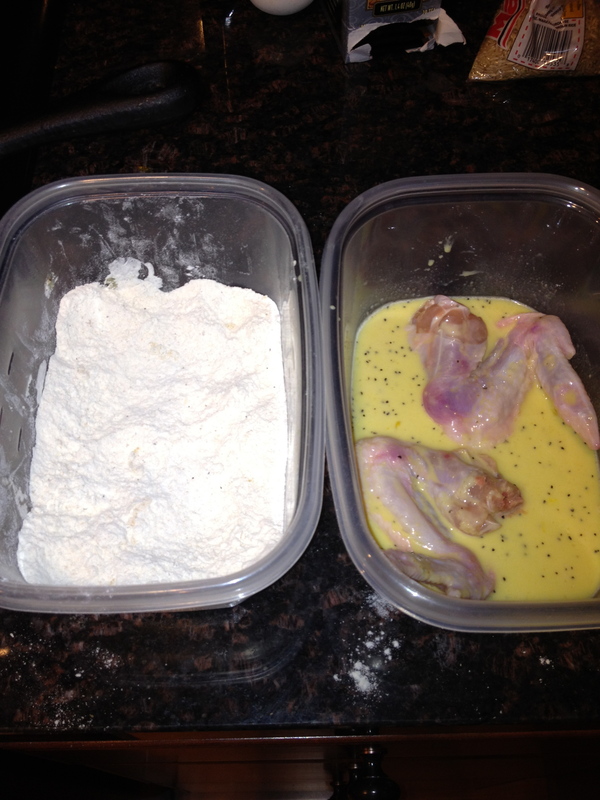 For starters, I believe in the double dip – dip your chicken in the egg wash, seasoned flour and repeat. My other requirements are seasoning/flavoring the egg wash and for added crispness, I add some panko bread crumbs to my flour mix. Since I’m one week strong into bootcamp and trying to improve my eating habits (as well as my family’s), I balanced out all the golden fried goodness with the warm quinoa salad over spinach. It was perfection and so easy to make! I’ve just recently started buying quinoa and so far we’re all really liking it! 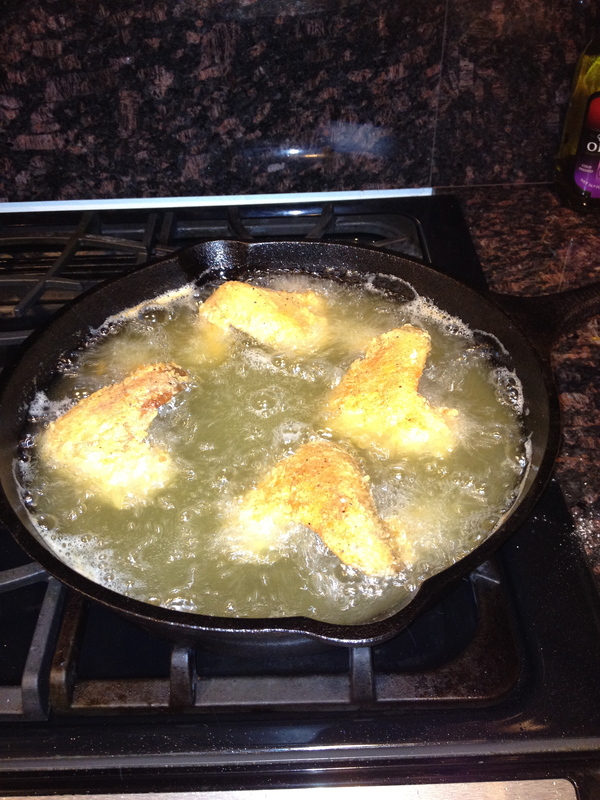 cast iron skillet – my favorite way to fry! paired with a warm quinoa salad. 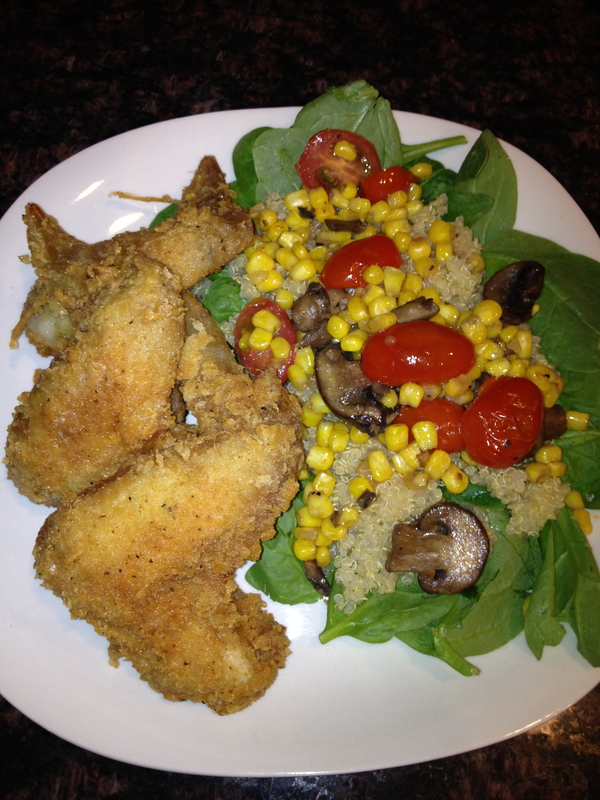 baby spinach topped with quinoa and sauteed corn, tomatos & mushrooms. Light and tasty!